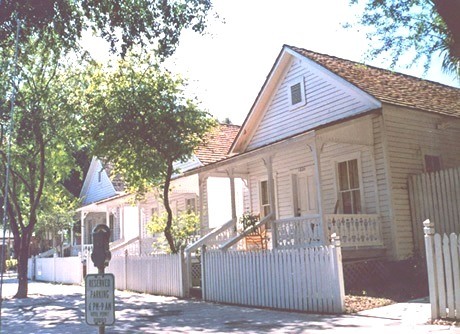 Tampa relocated five “casitas,” or cigar worker houses, to the Ybor City Museum State Park. One of the casitas contains historic exhibits, while the others are leased to commercial tenants. Located on the central west coast of Florida, Tampa (population 335,000), was incorporated in 1887. In the 1880s, financier Henry B. Plant brought the railroad to town, securing the city’s future. Tampa’s major seaport and the railroad enabled Cuban cigar manufacturer Vicente Martinez Ybor to establish his company town, Ybor City, in 1885, which spawned an industrious immigrant settlement. Ybor’s vision earned Tampa recognition as the home of the finest handmade cigars in the world and infused a rich Latin culture into the city that remains today. During the Florida Land Boom in the 1920s, citrus groves gave way to large residential developments encircling Tampa’s business core. The city’s subtropical climate, nearby beaches, and thriving economy, facilitated consistent growth and continue to attract thousands of tourists each year. Recently, Tampa relocated five “casitas,” or cigar worker houses, to the Ybor City Museum State Park, recreating a historic urban block adjacent to the newly reconstructed streetcar line. One of the casitas contains historic exhibits, while the others are leased out to commercial tenants. In addition to Tampa’s many historic districts, a number of landmark structures are located in public spaces, including the Wesley Bintz-designed Cuscaden Pool constructed under the WPA, the 1927 Sulphur Springs Water Tower, and the serpentine balustrades of Bayshore Boulevard. The Ybor City Local Historic District offers visitors a wide array of activities, including glimpses of the cigar manufacturing tradition. The Hyde Park Village Historic District contains a fine collection of 19th and early 20th century Craftsman architecture.